"The meaning of the play is the play itself." 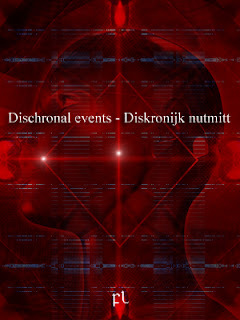 "We simply have become clever enough to learn how to use the dreams of those exposed to the phenomena to the advantage of designing ways to adapt ourselves to the requirements imposed by this interspecies communication. If we wish to communicate with them, we need to learn how to use dreams to communicate with them." "Dreaming is a way you have of allowing yourself to see that side of yourself that remained hidden during your exposure to the alien presence. What the dream presents to us with is complementary to the physical evidence we collected during the event, and we need to know your dreams to get a clear picture of what's going on. So please, tell us the whole dream again, and tell us what were your feelings in the dream." "Your dream shows that you have within you what everyone has; it's so true that you can’t know it, so beautiful that you can’t see it, and so wise that you can’t understand it. This dream arises from that part of you that is more you than you yourself are. It tells you that you need to have faith, you need to believe, in who you really are." 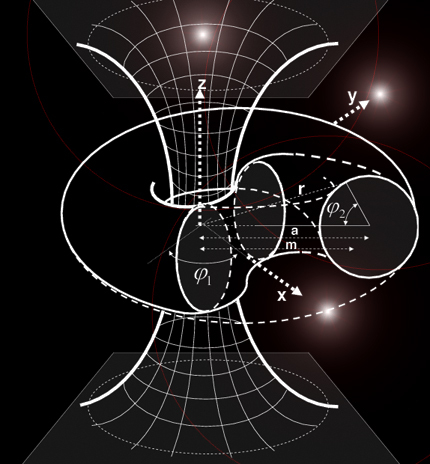 "I asked them whom they were, and they replied 'We are you'"
"It is our conclusion that propagating in a spacetime containing closed timelike curves, a Giselian probe may travel backward in time. This means that the probe can pass through some time interval twice or more. This would explain why they answered 'We are you', provided the entire incident at Bentwaters was just a superposition of two states within a dischronal region, the state of the Universe in December, 1980, and the state of that same Universe sometime in a distant future." Arah alhi sise juse ecki vir de lamd af dori aba de minu af erke. Guse geres magu irdo falt duvo ore ma kret trelse ver vese. Buigidd meimitt af trie, nemu, finve ki abke ashe meit ki hukt doke burv shral love ki de alta. Agaadd meimitt, duvo sise, bore, farr, arie, hukt fibe letadd loae, vira ir de zahi af de durs aba stese ir de weshle af soge. De wangidd kout toshe fishness ir bore awa hust ki buigidd meimitt af kuhe ka faul, sise al achhe mumre vir gebadd lubu letadd weshle. Soifiss wangidd kout frau hone soggidd dati gemel af doke arri aba frau secke de basi lobu abke af bust aba de hert. 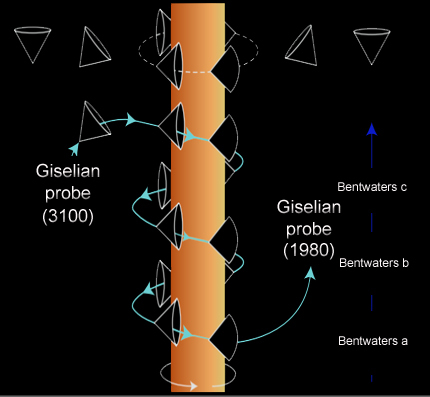 "Therefore, it is possible that a Giselian probe enters the time machine from the past and stays within it, infinitely repeating evolution from a point in time to just another point ahead in time, and backward. Moreover, the states obtained by time reversal from those already considered, may also be defined. Then the probe escapes from the time machine into its future after a number of cycles within the time machine, never being in the past chronal region." "Is the Bentwaters' story about aliens disinformation to hide an accident with a nuclear weapon? Not really. It is a story about we having nuclear weapons on the base, when we shouldn't, and of a falling Soviet satellite that was somehow redirected to crash against the base. It is also the consequence of our state of anxiety after the accident in Arkansas, on 18th Sept., when a nuclear-armed Titan II missile exploded in its silo. We needed to recover every piece of the falling debris in that forest to figure out how were they able to correct the trajectory of an otherwise falling satellite." "There were no aliens at all. A Soviet satellite -actually, the top stage of a launch rocket- failed and started to fall. We were monitoring the reentry trajectory making computations to find out what the exact location of the crash would be. We realized the satellite was not an inert body falling, it sort of corrected its trajectory and that triggered all alarms. We realized the satellite was programmed to fall, and it was aiming at Bentwaters. Obviously, only we and the Soviets knew that there were nuclear weapons at Bentwaters so we suddenly realized the entire idea was to force a crash against our nuclear silo to cause a major nuclear incident on British soil. That the thing fell in between our two bases crashing in the forest was just a miracle. So no, no aliens, but a miracle." Mensky, M. B. Continuous Quantum Measurements and Path Integrals, IOP Publishing: Bristol and Philadelphia, 1993. Turner, J.J. The effects of Radar on the Human Body. AD 273 787. AOMC ZEUS Project. Armed Services Technical Information Agency. Arlington (Virginia). 1962. Ullman, M. 1980. Dream workshops and healing In: Transpersonal Psychotherapy Ed, S. Boorstein. Palo Alto: Science and Behavior Books. Ullman, M., & Zimmerman, N. (1979). Working with dreams. New York: Dell. Ullman, M. 1999. Setting words to the music of dreams. Dream Appreciation Newsletter, 4(4). Unruh, W. in New Techniques and Ideas in Quantum Measurement Theory, ed. by D.M. Greenberger, Ann. N.Y. Acad. Sci. 480, New York Academy of Science, New York (1986).